Are you considering having fitted kitchens in Derby? The New Year is a great time to take stock of your interior and opt to make improvements like getting your kitchen redesigned. We understand how important the hub of your home is, so if your units and amenities have seen better days, Kitchen Solutions has got the solution. We can turn your kitchen dream into a reality. 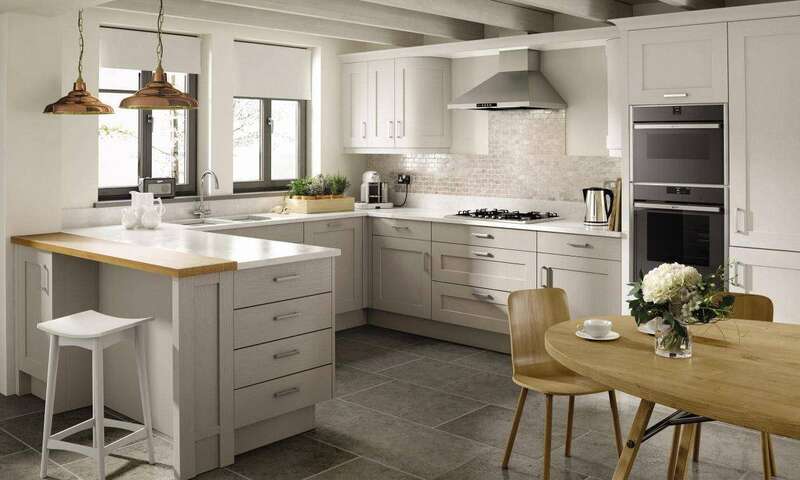 Why choose Kitchen Solutions for fitted kitchens in Derby? You will receive a highly personalised service because this is a small family run studio and showroom based in the Derbyshire and Nottinghamshire area. Claire and Daniel have been running Kitchen Solutions since 2006 but their kitchen design experience goes back much further than that. They have a shared passion for kitchens, house building, renovation and interior design. Having built several houses, extended a previous property and undertaken a huge renovation on their current abode, they are able to bring a depth of personal and practical understanding to the process of professionally designed fitted kitchens in Derby. Being family people, this informs their work so that you will get a kitchen that looks fantastic and delivers on practicality. They know that whether you are a single professional, a couple, or a family, life revolves around and emanates from the kitchen. It is a social space and the heart of any home. Our gallery is packed with examples and inspiration for your new kitchen. Always happy to help you with kitchen projects big or small, feel free to call by the showroom in Langley Mill. Daniel is the designer and can offer advice and help to visualise your ideas. To find out more about our fitted kitchens in Derby, please contact us today, we look forward to helping you realise your kitchen goals in 2019.